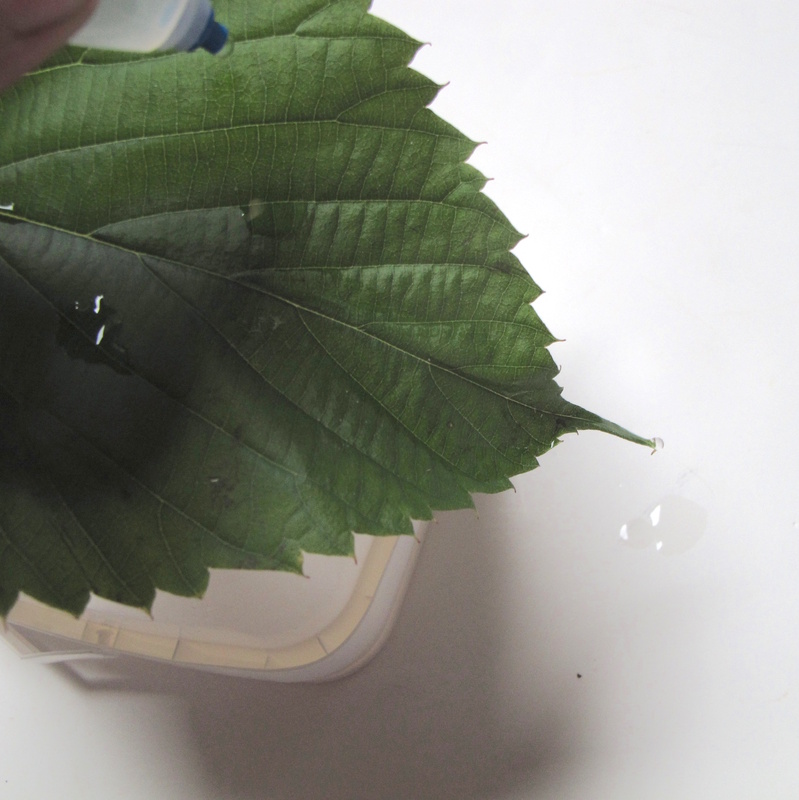 Drip water on leaves to see how leaves are waterproof and shaped to direct rain water off the leaf. Compare with other surfaces. 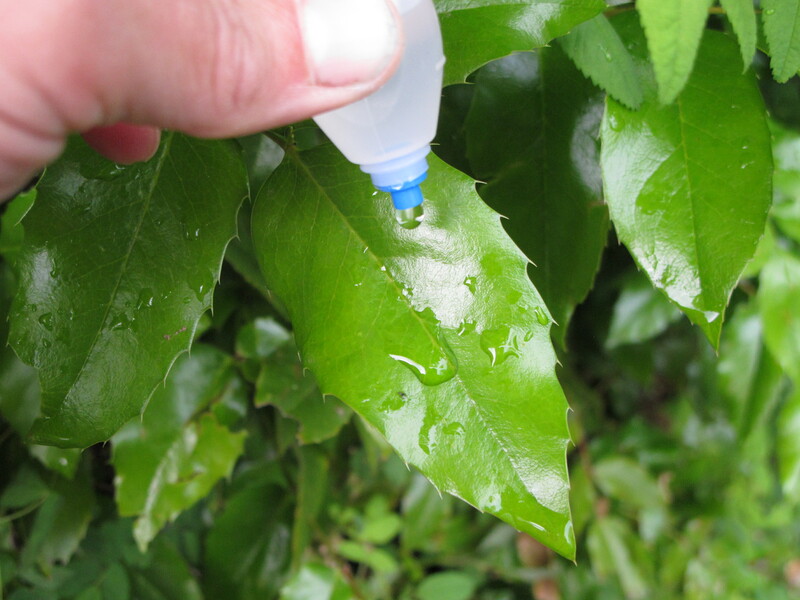 Take students outside to a place with bushes, then give them each a dropper bottle filled with water, and a worksheet. Ask them to drip individual drops on leaves and watch what happens to the drips - first the path of the water for different leaf shapes, then to compare how quickly the water soaks into the leaf compared to their clothing made of different fabrics. Record on the worksheet. Discuss what they find - usually the water stays as a drop, and flows off the leaf via the pointed drip tip (if the leaf has one), sometimes after it has fused with other drops. The drops do not soak into the leaf. 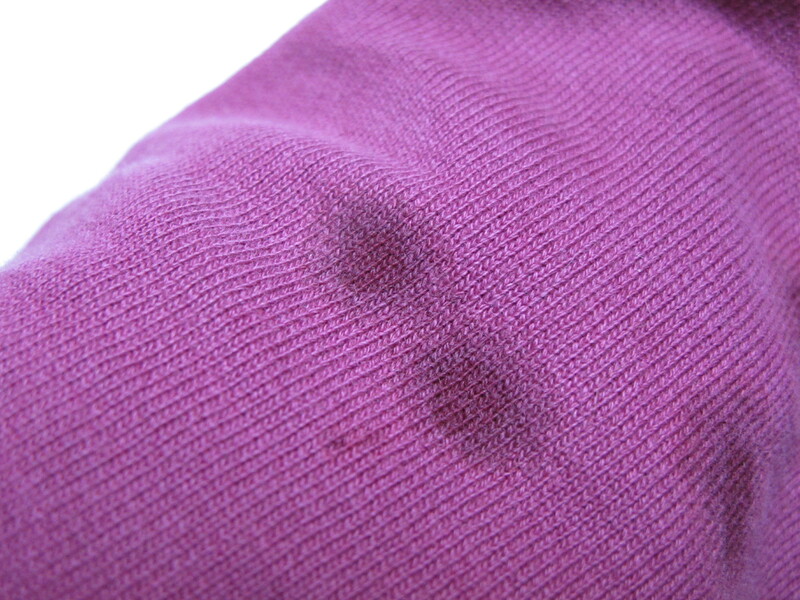 The drip tips divert water off the leaf, so that bacteria and fungus does not have a place to grow. The waxy coating forms a physical barrier that resists penetration by virus particles, bacteria and fungi. It also prevents water loss from the leaf.